Please note which flavors you would like! Buy 3 of our lip balms, get 1 lip balm FREE! Choose from any of our flavors in stock! Pay 1 low shipping fee! 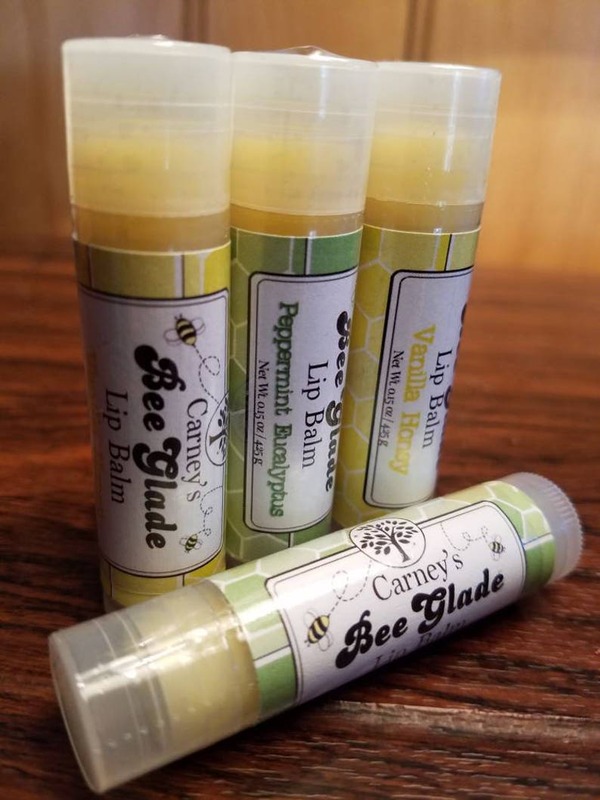 Carney's Bee Glade Lip Balms are handcrafted from natural beeswax and flavored using high quality therapeutic grade essential oils. *All items are individually shrink wrapped.